Your shoulder is a complex system of muscles, tendons, and bones that work together to allow for the range of motion you need for your daily activities. It’s this same complexity that leaves your shoulder at risk for disclocations or conditions that lead to chronic shoulder pain. Dr. Marilyn E. Copeland, a board-certified orthopedic surgeon and fellowship-trained sports medicine specialist at Fondren Orthopedic Group in Webster, Texas, can diagnose the root of your shoulder pain and help you recover. If you’re in the Clear Lake or Greater Houston area and suffer from recurrent shoulder pain, call Dr. Copeland’s office or request your appointment online. What are the most common sports-related shoulder injuries? Hyperextension, physical trauma, or landing with an outstretched arm can all lead to a shoulder dislocation. Most patients with a dislocated shoulder experience shoulder pain and reduced mobility in the affected area. The acromioclavicular (AC) joint connects the collarbone to the shoulder blade. Sprains in this area usually result from falls landing on the shoulder or other high-impact blows to the top of the shoulder. Pain and swelling in the shoulder region are typical following an AC joint sprain, particularly when you move your arm laterally across your body. A ring of cartilage called the labrum surrounds your shoulder socket to assist with flexibility. Injuries to the labrum aren’t always from an obvious event such as a fall, but you might feel a pain “deep” in your shoulder if you’ve injured your labrum. Your rotator cuff is the group of shoulder muscles that work together to keep your shoulder joint in place. Rotator cuff injuries tend to occur after repetitive movements or trauma to the shoulder, and you might feel pain when lifting objects or lying on the affected side. Are women at greater risk for shoulder pain? Anatomy: Certain anatomical differences between men and women can leave women with a higher risk of specific shoulder and joint injuries. Flexibility: Women tend to be more flexible than men, which can lead to hyperextension and increased muscle strain. Certain shoulder conditions, such as frozen shoulder, also occur more often in women than men, particularly during the postmenopausal stages. Dr. Copeland treats your shoulder pain based on the type and severity of your injury. Noninvasive treatments such as anti-inflammatory medication, injections, modified physical activities, and physical therapy can often resolve pain caused by repetitive movements or strain. 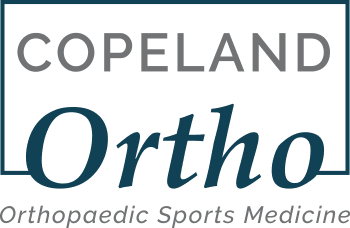 For more severe pain, Dr. Copeland performs minimally invasive arthroscopic procedures to correct the injury and put you on the road to recovery. If you’re having pain and mobility issues in your shoulder, call or request your appointment online today.